Every year, executives around the world go through the customary tradition known as ‘strategic planning’. They emerge from days or weeks of meetings with a sacred document that — if adhered to — will increase their sales, make their services shine, engage their staff and secure their future. Well, that’s the story they tell us in business school anyway. 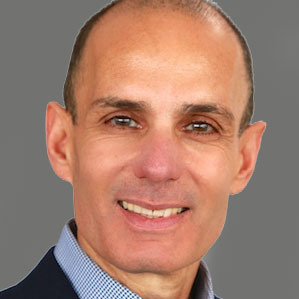 But unfortunately – as Professor Robert Kaplan of the Harvard Business School and his associate, David Norton of the Balanced Scorecard Collaborative tell us – as much as 90 percent of all corporate strategies fall short of their stated objectives. 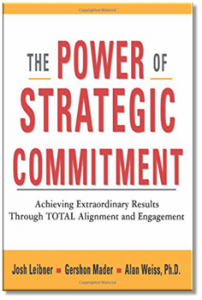 From my many years of global experience, helping executive teams generate a clear and compelling direction for their organizations, I have observed several key misunderstandings and myths that lead to wishful, wasteful, or less-than-worthwhile strategic planning efforts and outcomes. One of the biggest myths is that in order to create an effective and relevant strategy you have to be able to accurately predict the future in terms of market, technology and/or consumer trends. Many executives seem to believe this. But, nothing could be further from the truth. In today’s rapidly changing technological, consumption, and economic environments, no one has a crystal ball, and no one knows what the future will bring. In the last few years, we have probably seen more examples than ever before of the predictable not materializing, and the unpredictable becoming reality. In today’s world, it’s often the new, unknown, small players that burst into the market unexpectedly and overnight they dictate new consumption and business trends, and how we live our lives. Take as an example the likes of Uber, Google, Facebook, Twitter, LinkedIn, Paypal and many other ‘use-to-be startups’. So, any attempts to predict the future could easily be misleading and lead to misjudgment and failure. Unfortunately, many executives still believe that there is a “right” strategy for their organization and their job is to identify and capture it. They believe that if you get the content of your strategy right, the success of that strategy is a foregone conclusion. They assume that the substance of the strategy must be composed of realistic objectives based on the most accurate and valid data and information. In many organizations, this belief leads to “analysis paralysis”. 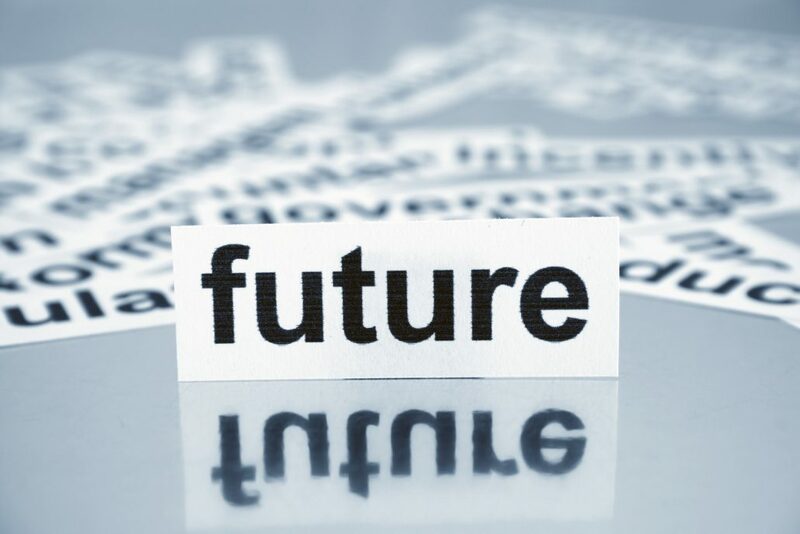 Those who try and get the future right typically do so by analyzing the past. They create their strategic plans by looking at their rearview mirror. They determine their future goals by benchmarking and analyzing their own, as well as others’, historical performance and trends. That often leads to merely repeating past cycles and trends. In addition, what goes unrecognized and unaddressed is that no strategy can ever be right or reasonable enough to account for all the events that might emerge on the road to its fulfillment. Therefore, perfect content, as a path to success, is an illusion and leads to increased investment of resources in the pursuit of the one true strategy that will win the day. In reality, any strategy is only as good as people’s ownership and commitment to its fulfillment. Even the most accurate and well-crafted plan will fail if people don’t own it and take accountability for delivering it. Therefore, you are better off having 100% ownership for a strategy that is 80% accurate, then have less than 80% ownership for a strategy that is 100% accurate. “The only way to predict the future is to create it“. The most powerful strategies are informed by the past, but influenced and driven by future thinking. This means a team envisions the future, takes a stand, and commits to a direction and destination as a responsible, plausible, and a calculated risk. Then everyone commits to that destination – not because it is perfectly accurate, but because they believe it is the right future to pursue. The process of creating a powerful and effective strategic plan should not be an accounting and forecasting exercise that is informed by some leadership, but rather the opposite – a leadership exercise that is informed by some accounting and forecasting. It requires not a calculator, but the courage and conviction to inspire everyone to be their best and get on the same page.